Photo Credit to Nataly Zigdon. In the music industry, it seems that people tend to generalize and assume that musicians fall into one of two categories: excited newbie or jaded veteran. But where are the artists who are just looking to share the love? “[With the video], we wanted to really move our viewers,” Mikey says. “[Filming was] surreal. It was a day of playing like a child. We were laughing on the set all day, and the cast was extremely talented. I also love wardrobe, and was really blessed to have a very talented stylist who really brought her A-game to the shoot. 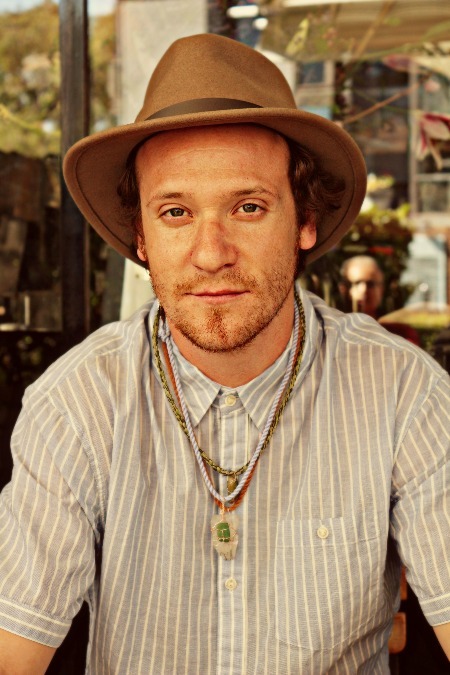 The video, directed by Daniel Knust, is the video counterpart to the track, featured on Mikey’s full-length album, Extraordinary Love. The album reinforces positivity, filled with stunning melodies, entrancing lyrics, and undeniable soul. “I worked with two producers on the album; most was with Diwon (Bonhom, Dreams In Static, Y Love), and for two of the tracks, with artist and producer Brian Judah (Bravos Platinum Hit Contestant),” Mikey explains. “When I worked with Diwon, we recorded rough guitars and vocals. Since he is a hip hop and electronic music producer, I gave him the permission to cut up the music and re-create it. For me, this was an exercise of non-attachment. A believer that people “have the power to be everything we manifest with our words,” Mikey is proving that this is, indeed, the truth. With every line of his music, and every career-making decision he makes, no one can deny the power that pure determination can make every want into a reality. Warner Bros. Records will release the original motion picture soundtrack to Universal Pictures’ Endless Love on February 11th, 2014. The romantic drama will hit theaters nationwide on, you guessed it, Valentine’s Day. The soundtrack features music from a wide variety of artists, including the Top 40 hit-in-the-making “Pumpin Blood” by NONONO, as well as The Bird and The Bee featuring Matt Berninger, Echosmith, Franz Ferdinand, Tanlines, Guards, and Tegan and Sara, who perform the track “Don’t Find Another Love,” which was written specifically for the movie. Please see below for the full track-listing. Endless Love stars Alex Pettyfer (Magic Mike) and Gabriella Wilde (The Three Musketeers) in the story of a privileged girl and a charismatic boy whose “instant desire sparks a love affair made only more reckless by parents trying to keep them apart.” The film, directed by Shana Feste (Country Strong), is a romantic drama co-starring Bruce Greenwood, Joely Richardson, Robert Patrick, and Rhys Wakefield. 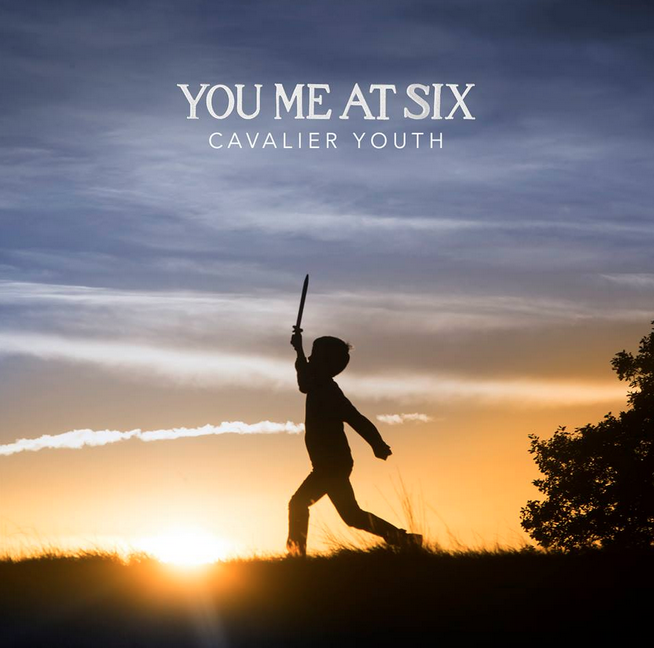 With three Gold-Certified albums under their belt, You Me At Six have teamed up with Prospect Park for the release of their highly anticipated fourth album, Cavalier Youth, and the Neal Avron (Fall Out Boy, All Time Low, Yellowcard) produced record is set to be the biggest of their career. Released on January 27, 2014, the deluxe edition is already No.1 on the iTunes chart in the UK and on course to knock Ellie Goulding’s Halcyon from the top spot. Praise has been pouring in for Cavalier Youth, winning critics over seemingly from the opening notes. After major tours overseas with Paramore, twenty|one|pilots, and Thirty Seconds To Mars, You Me at Six’s Prospect Park signing alludes to plans the band might have in store for 2014. For more information: http://www.youmeatsix.co.uk/. “We spent six months of 2013 in North America and it is truly our second home, “says You Me At Six frontman Josh Franceschi. The band called Los Angeles home for the duration of recording “Cavalier Youth”. Franceschi continues, “Our US and Canadian Fans can expect to see a lot more of us in the next 18 months.” You Me At Six have just released the trailer for their documentary film DVD,“Oceans Away,” directed by Tom Welsh, which chronicles the band’s love affair with Los Angeles, while they record their fourth album. The film is available exclusively as part of the Deluxe CD/DVD Edition of “Cavalier Youth.” Watch the trailer here:http://youtu.be/iegQFEk_RmQ. The Used, who will be releasing their sixth studio album, Imaginary Enemy, on April 1st have just announced a North American co-headling tour this spring with Taking By Sunday. The tour will kick off on March 14th in Dallas, and end on April 27th in Orlando, with special guests Tonight Alive and Sleepwave. 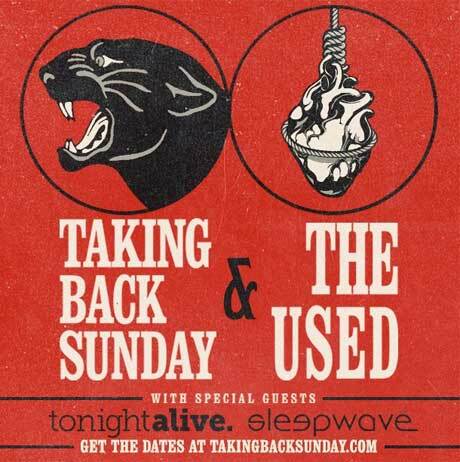 Fans can purchase digital versions of both The Used and Taking Back Sunday’s new albums with a ticket starting today at 2pm EST via Applauze. These limited tickets will have a special reduced service fee along with a sale price to pre-order either or both albums. If you download the free Applauze app for iPhone/iPod Touch there is an additional specially priced bundle that includes both albums. There will also be an artist pre-sale beginning today at 2pm local time. General ticket sales will begin on Friday, January 31st at 10am local time. To purchase tickets and for more information, please visit: http://theused.net. When my band Dovetail went into the studio to begin recording a new album in 2010, none of us knew what we were getting into together. We’d been working on a handful of songs and were planning to spend two weeks recording live versions of the tunes. I wanted to do something original and fresh with our band. I fought against the suggested influences people put on me about what kind of music might be the most successful for my voice and our band. We worked and reworked the album for two years, and, finally, independently released Mount Karma in March 2012. It was later re-released by Ok! Good Records in October 2013. I’d often get frustrated with the length of time it was taking to finish our record, but we set our sonic standard high and had to learn how to reach it together with our producer, Beau Patrick Bedford. Quickly shedding some misconceptions about the kind of super high-end gear you should have to make an industry standard recording, we went to work in a one-room cabin in the woods. It was a romantic endeavor. We slaved over the recordings and went through some painful (and some not-so-painful) personnel changes in the process. As I reflect on that time, the thing I take from it is that we made the record we believed in from the beginning. We sacrificed, stuck it out, and grew until it was what we wanted. The album, Mount Karma, is the result of people giving a lot of time to love their art, and key people giving time and money to get the album out to an audience. Without every person involved, it wouldn’t have turned out the way it did. The title was kind of a prophesy in and of itself. If you’re going to find your way as an artist, you’re going to have to learn to dream bigger and then hold yourself to the dream. You have to do it. Continue to honor your vision, fight for it, sacrifice for it, and you can create what you see in your imagination and infinitely more. You can purchase Dovetail’s amazing album, Mount Karma, HERE. 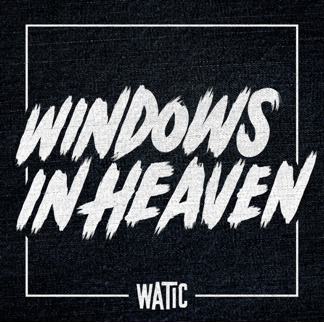 We Are The In Crowd have released “Windows In Heaven,” the new single from their upcoming album, Weird Kids, which is out on February 18th on Hopeless Records. You can purchase the song on iTunes here: bit.ly/1n7HcdF. Album and bundle pre-orders are also now available via Hopeless here: http://hopelessrecords.com/weirdkids/. Fans can also pre-order the album through Best Buy to receive two exclusive bonus tracks here: http://bit.ly/1dwerSI. For tickets and more information about We Are The In Crowd’s upcoming US + UK Tours: http://www.wearetheincrowd.com/tour. SIIINES, the Los Angeles-based electro-rock band, have announced the release of their brand new EP, Fukushimarama! Produced by Ari Rhodes of Hands Up!, the EP will be released on February 11th, equal parts rock and electronic dance music, SIINES bring a new perspective to genre. SIIINES will release Fukushimarama! on February 11th, 2014. Singer-songwriter Gary Clark Jr. won his first Grammy las night for “Best Traditional R&B Performance” for “Please Come Home.” The song appears on Clark’s debut album for Warner Bros. Records, Blak And Blu. 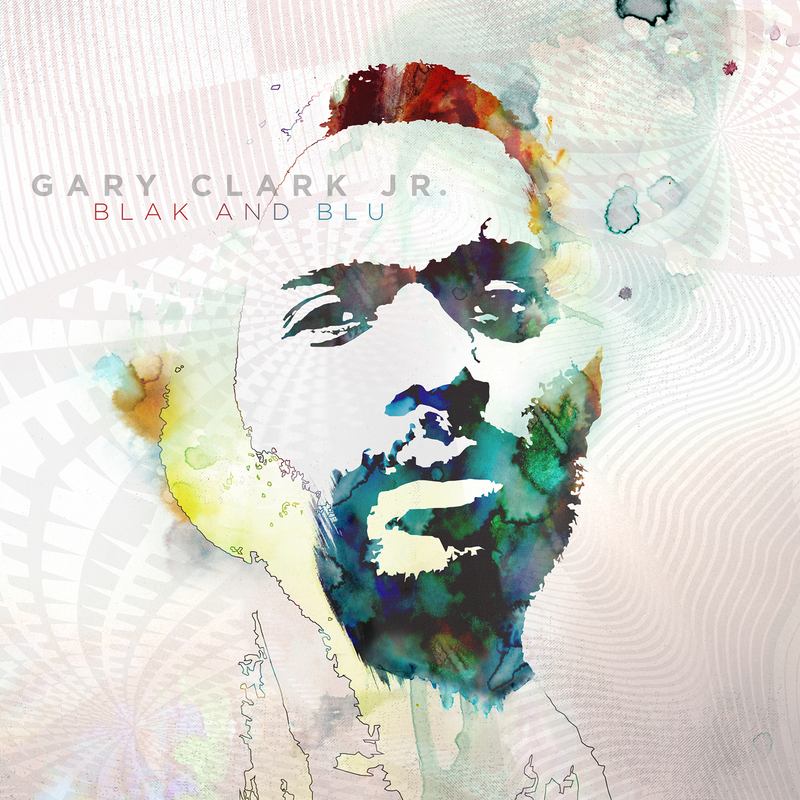 Originally nominated in two categories (“Best Rock Song” for “Ain’t Messin ‘Round,” as well as “Best Traditional R&B Performance” for “Please Come Home”), Gary Clark Jr.’s nominations mark the first time in Grammy history that a single artist has been nominated in two different genre categories simultaneously from one album in the same year. In addition, Clark turned in an incendiary performance with Keith Urban on the live Grammy broadcast trading lead vocals and guitar solos on Urban’s “Cop Car”, from his current album. “Weird Kids” Set To Release via Hopeless Records on February 18th! You can pre-order the album in a bundle by clicking Here, there is also a Best Buy Exclusive Pre-Order featuring 2 Bonus Tracks Available Here. We Are The In Crowd have released “Long Live The Kids,”a new song off their upcoming album, “Weird Kids,” which will be released February 18th via Hopeless Records. 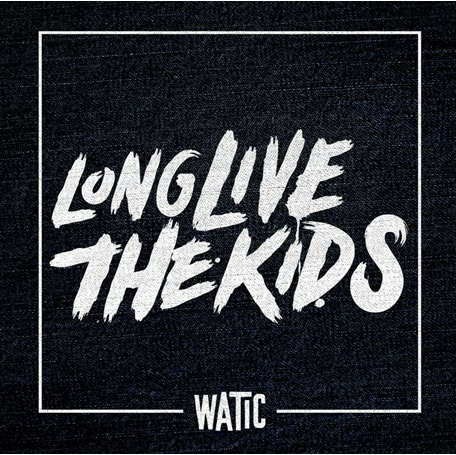 Fans can stream “Long Live The Kids” here: http://bit.ly/1aEdZBK and purchase the song on iTunes here: http://bit.ly/1doxJpN. “Weird Kids,” produced by John Feldmann (The Used, Yellowcard, All Time Low, Panic! 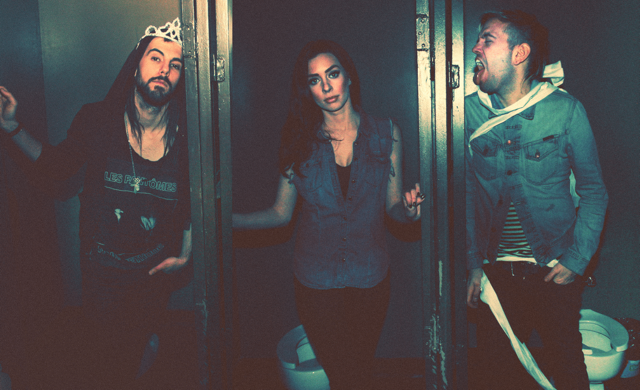 At The Disco), is WATIC’s follow-up release to their successful debut album, “Best Intentions,” which launched the band into world wide exposure. We Are The In Crowd recently release an action-packed music video, for “The Best Thing (That Never Happened),” directed by Mark Staubach (Lupe Fiasco, Travie McCoy, Cody Simpson). Check it out here: http://youtu.be/BFqtasnu7y8. 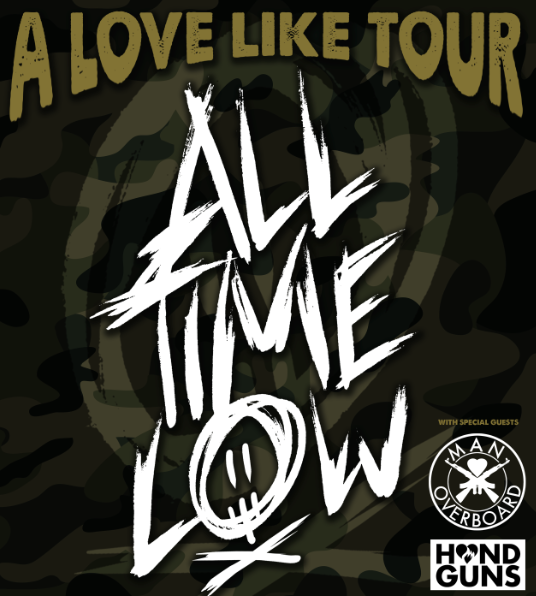 “A Love Like Tour” is a play on the band’s most recent hit single “A Love Like War” featuring Vic Fuentes of Pierce the Veil. The song can be found on the band’s brilliantly successful album “Don’t Panic: It’s Longer Now,” which was released late 2013 and charted #1 on Billboard’s Independent Albums Chart and #19 on the Billboard Top 200! The amazing album included the all of the tracks from “Don’t Panic” as well as four brand new songs and four bonus acoustic tracks that listeners are sure to fall for. The official music video for “A Love Like War” has reached over 4.8 million views and can be seen below! Lead vocalist and guitarist Alex Gaskarth can be currently seen on the cover of the latest issue of Kerrang! Magazine alongside Mark Hoppus of Blink 182 and Josh Franceschi of You Me At Six!